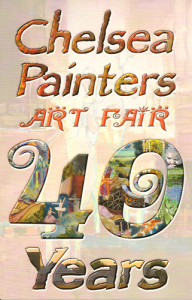 No, I have not been part of the Chelsea Painters for 40 years. I’ve only been with the group for about five years now. We are a small group, never more than 25 active members. We meet weekly except for a couple months in the summer. 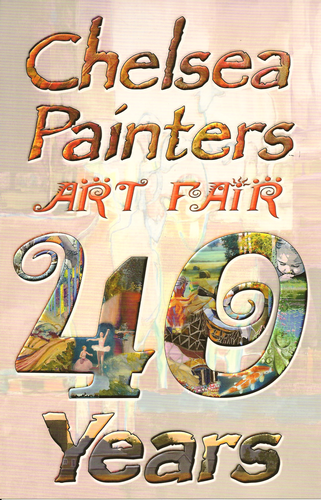 My fellow artists this year at the art fair are: Barb Anderson, Janice Stevens Botsford, Ilona Brustad, Jim Clark, John Copley, Mary Beth Day, Nancy Feldkamp, Teresa Freed, Barb Gilbert, Michael Hahn, Sandy Knapp, Lois Lovejoy, Barbara MacKellar, Keith McGuire, Gwyn McKay, Toni Stevenson, Corinne Vivian and Carolyn Weins.